While researching Medical Assistant programs, you’ve probably tried to find the answer to this key question: how much schooling to be a Medical Assistant? The answer is largely dependent on the institution, the program, and the location. Unitek College offers a Medical Assisting program that enables students to take charge of their future without spending years in school. Although the MA program can be found at each of our seven campuses, today we’re going to focus on our San Jose Campus and the beautiful city that surrounds it. We’ve put together a list that will alternate between our MA program and the city of San Jose. Keep reading to learn some fun yet helpful facts! MA: To give our students a well-rounded experience, we utilize various active learning methods, such as simulation training, lab exercises, and collaborative assignments. Additionally, we previously mentioned that Unitek’s MA program has a speedy timeline. If you’d like to enroll in a comprehensive yet efficient program, you can receive Medical Assistant training at Unitek in as little as 9 months. San Jose: According to an article on San Jose Online, San Jose is the seat of Santa Clara County and the third most populous city in California. The article states that San Jose was founded in “1777 as a farming community and an agricultural stronghold.” Today, it has transformed the technological and financial landscape of our world. Without a doubt, San Jose would be an exciting city to choose for your educational needs. MA: At Unitek’s San Jose Campus, you’ll find that our MA program utilizes professional lectures as well as active learning methods. Because we want our students to be as prepared as possible, a 160-hour supervised externship is also included within the program. If you’re seeking Medical Assistant training with real-world experiences, Unitek College might be the ideal choice for you. San Jose: Good news for our students who love the outdoors! An article from San Jose Online states that San Jose typically enjoys 300 days of sunshine per year, and fall temperatures tend to run between 60-70 degrees Fahrenheit. Not only might this sunny weather improve your overall outlook, but it will provide various opportunities for outdoor activities during your free time. Studying is critical to success, but so is getting plenty of rest and taking the time to recharge. MA: If you enroll in the MA program at our San Jose Campus, you’ll find that class caps are utilized to ensure your voice is heard. Doing so also allows our instructors to give each student the assistance they need. Medical Assistant courses are capped at 28 students, allowing for collaboration and teamwork while still allotting enough time to each student. Additionally, while it can vary by program, the San Jose Campus is typically open Monday through Friday between 8:00 am – 10:50 pm. A school representative could provide more information about morning, midday, and evening classes. San Jose: According to an article on San Jose Online, San Jose is the “most ecologically minded U.S. city with a record for the most recycling among the bigger American cities.” If recycling and environmental causes are important to you, then you just might have two more reasons to pick Unitek’s Medical Assisting program in San Jose. 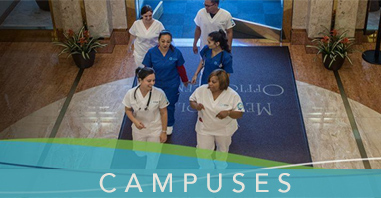 MA: The San Jose Campus is located about 25 miles from our main Fremont Campus. It occupies approximately 28,000 square feet square feet at 6800 Santa Teresa Blvd in Suite 200. Students will have access to 9 classrooms, 9 labs, a library, and a student lounge. Along with other students, Medical Assisting students will have access to various administrative areas. San Jose: It’s probably safe to say that no one likes being stressed. An article on San Jose Online delves into this matter, relaying that “San Jose is one of the least stressed cities in the U.S. with a poverty rate lower than 11% and quick commutes as well as health-promoting lifestyles.” It’s good to know that your commute to Unitek might be relatively quick and painless! 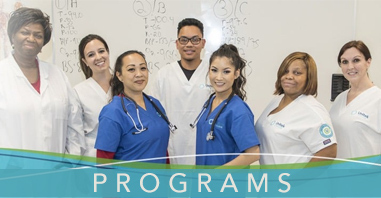 We hope we’ve provided you with plenty of information about San Jose, Unitek College, and Medical Assisting, including how much schooling one needs to be a Medical Assistant. If you found this list helpful and you’d like to know more about Unitek, please contact one of our representatives at the San Jose Campus or call them toll free at 800-318-1550.